Director Steve McQueen and the stars of Widows explain how the movie takes the pulse of modern-day Chicago, from the streets to the skyscrapers. Jamal Manning: This is my brother. Jack Mulligan: Love you too. Published by Onward Music Ltd. Courtesy of Onward Music Ltd. Seriously, Steve McQueen?! This is how you follow up a masterpiece like 12 Years A Slave? 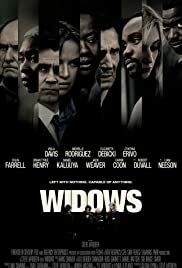 Widows has attracted some glowing reviews, but one can only assume they are from people so dazzled by McQueen's reputation that they just can't believe he could direct something this inept. Nevertheless, he's taken a heist story and buried they heist and all heist-related activity so deep within a narrative more concerned with race and political corruption that, despite what you might think from the trailer, this isn't even really a heist movie. In doing so, what was originally a six-hour mini series - with more than enough plot to make a gripping two-hour movie - becomes a slow, lumbering, often tedious ramble, only occasionally enlivened by bursts of action and violence. There's so much preamble and so many arduously introduced sub-plots here that the actual inciting incident for the story - you know, the heist - is damn nearly halfway into the running time. And what would normally be the fun parts of a heist movie - the planning, the training, the problem-solving - is so absent that the heist itself delivers no tension or suspense because we just don't know enough about the masterplan to care. Which results in us never really believing that these women could pull off such a crime. And that rather undermines the entire exercise. McQueen has essentially hijacked his own movie to make various social and political points, but sabotaged himself in the process. 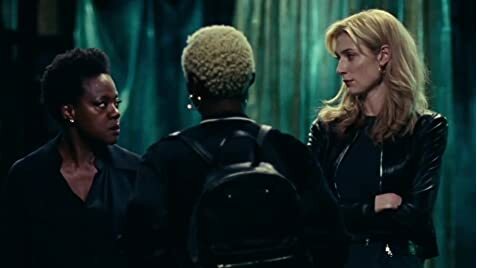 The original Widows mini-series certainly contained the raw ingredients for a great heist movie. But this ain't it. 69 of 98 people found this review helpful. Was this review helpful to you?